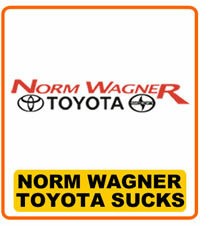 I just bought a Toyota Camry from Norm Wagner Toyota Lancaster MA And the FREE OIL CHANGE FOR LIFE COST $29.95 Because they force you to rotate the tires each time you have the oil changed...Today I had my oil changed .. But this time I marked the tires to see if they rotate them...they charged me and the paper work shows they did the work...BUT THE TIRES ARE STILL IN THE SAME PLACE AS WAS MARKED BEFORE I GOT THERE.. I MARKED THEM RF,RR,LF,LR. I GOT THE PROOF THEIR CROOKS THE TOLD ME THEY WOULD MAKE MY NEXT VISIT FREE.......LIKE I'D GO BACK.